Unapologetically Female: Get out your blue and red crayons! 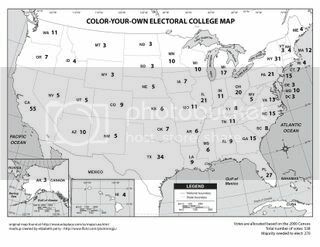 The CRAFT Magazine blog just posted a link to this awesome Color Your Own Electoral College Map. Click here to download the full-sized image. Just print it in landscape, and you're good to go!